THERE have been new steps towards resolving the driver-only dispute on Merseyrail, after several weeks of talks with the RMT. A further meeting at ACAS yesterday discussed the outcomes of recent ‘joint workshops’, which explored the RMT’s wish to have a second safety critical member of staff on the new fleet of trains which is now on order for the network. 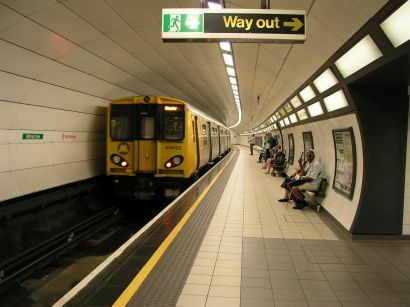 Merseyrail had previously said that there would be a second member of staff on board particularly busy trains, or those running late at night, but that in general the driver would take control and operate the doors. The results of the workshops have not been revealed, but in a joint statement last night both sides said that the conclusions so far would now be sent to Merseytravel for ‘consideration’. Meanwhile, although recent strikes on South Western Railway during Ascot week were called off, the operator has now been hit by a local dispute amid allegations of victimisation at two depots. As a result, guards at Bournemouth and Weymouth will be staging an indefinite ban on overtime and rest day working from 17 July.